Have you ever thought about risk or done a Risk Assessment for your business? Or, contrarily, they think things are going well and so looking at risk is not a priority. So why should we look at risk? Looking at risk and weighing possible risk scenarios is the best way to improve, keep ahead of (or at least up with) technology, understand market changes, and understand your own company’s future needs. It means taking the time to ask some tough questions, and taking action to mitigate risks in your business. If you are afraid your business is at risk, it’s better to address it as soon as possible. It may mean facing some harsh realities or making some changes, but that is better than possibly going out of business! On the other hand, if your business is going well, that is even more reason to look at your risks. The landscape of every business is always changing and, even if things are going well now, risks always exist. 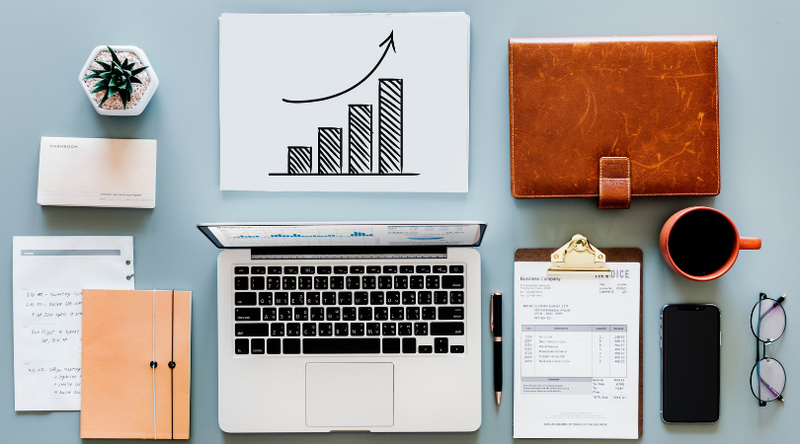 In any case, part of maintaining a healthy business is constantly assessing where your business stands, even if the risks are ultimately low. What Is Risk and Why Do I Need to Know About It? Perhaps “need” is a better word. Risk, pertaining to business (and not the 8-hour boardgame), is the probability of a negative occurrence due to external or internal vulnerabilities. A business is at risk in a certain area when something needs to change or the chance of a negative outcome is high. Sometimes there is no huge risk, and sometimes there could be MASSIVE risk, but either way it is important to aware of your business’s risk status. The most dangerous thing to do is NOTHING. It’s better to assess risk regularly than to turn a blind eye, have no plan for when something happens and be FORCED to make changes quickly or be left behind. Or worse, become obsolete. What Types of Risk Do I Need to Be Aware of? Financial health risk – cash flow, revenue streams maintenance and growth potential, budgets, etc. …Just to name a few. Although this list may seem daunting at first, there’s a simple structure to get started: take a risk assessment to identify your business’s risks. And then once a risk is identified as low, medium, or high, it’s easier to tackle. 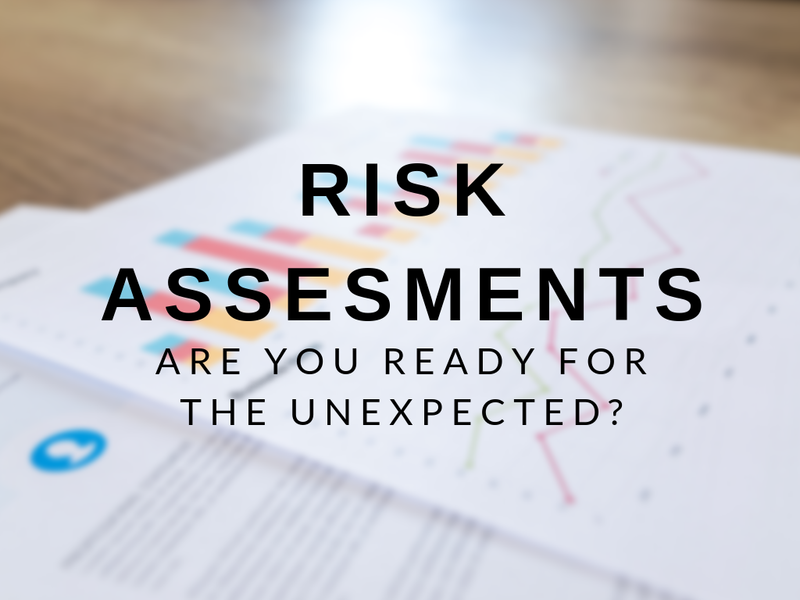 A risk assessment is a process that leads you through a meeting with your key team members, asking a lot of tough questions, and honestly assessing the answers to help identify future needs BEFORE they happen and allows for better planning along the way. If done properly, it involves assessing your business’s risks in several or all the risk categories listed above. Completing a risk assessment should be a part of any company’s annual planning. If you take a business risk assessment at least annually, congratulations. This process helps keep the best companies nimble and poised for continued success. Feeling extremely busy but can’t seem to get ahead? Read about our Jumpstart Your Business program. How Do I Manage Risk Now? If you’ve never done a risk assessment or thought about managing your business risks, don’t worry, we have a process to help take you through it. You can contact us for more information or to discuss an in depth risk assessment. If you are interested in assessing where your business is on the Business Growth Index, take our easy and free assessment here. Risk is often misunderstood or ignored. It is defined as the needs your company must fulfill in order to reduce the probability of a negative outcome. Negative outcomes could include lost profits, lost talent, lost clients, etc. Managing risk is necessary because a risk not mitigated could pop up later in a much more urgent, stressful, or even destructive manner. Assessing the risk of your business does not have to be scary, difficult, or time consuming with a simple risk assessment tool that we can help you with. Contact Thrive Business Strategies today to manage your risks and keep your company moving onward and upwards!